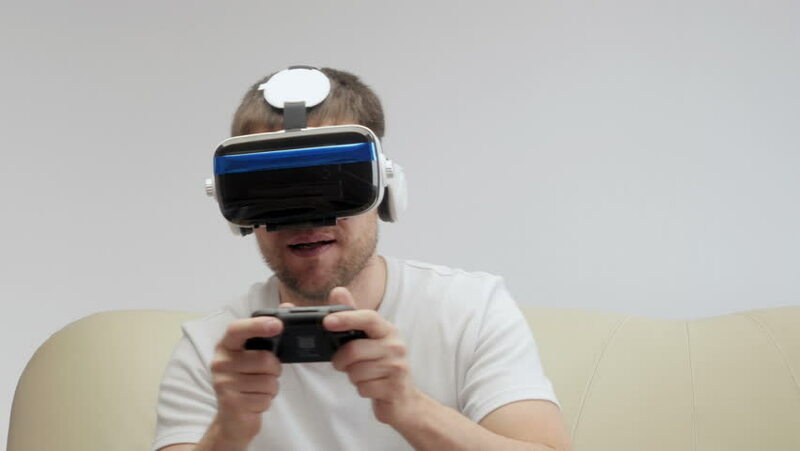 Man wearing virtual reality mask. Studio shot. Man in a virtual reality mask observing digital video game world. VR.